2 Beds 1 Bath 824 Sq. ft. Located In The Sierra Meadows Mobile Home Park. 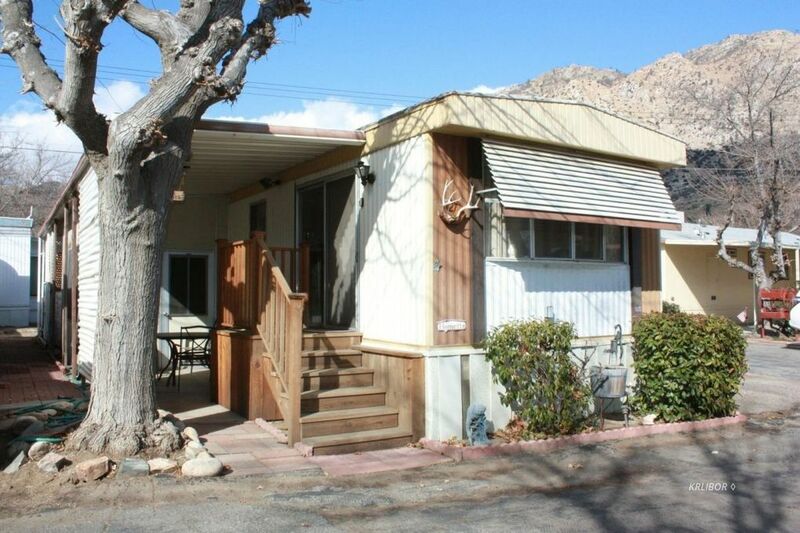 The Famous Kern River is right out your back door and you are with in walking distance to the quaint town of Kernville. Lots of shops and eatery's to enjoy along with many outdoor activities in the area. This place is 2 bedroom 1 full bath with an extra add on that can be used for storage or guest. Seller have made lots of upgrades with entry stairs, outdoor deck, carpet 2 years old, new range, replaced water heater, new air conditioning, flooring in kitchen and bath & breakfast bar. Enclosed patio workshop for the guy that needs his space plus an additional storage shed. Rent is 440 per month and it includes the water. Perfect location to enjoy resort living ! !